As many Leicester students will know, exam results have been coming out over the past couple of weeks. For me, the gap between exams and results seem to go on forever. People will tell you to “just forget about it until they arrive”, but I never seem to be able to. Does anyone else have this problem? The morning the dreaded email arrived from registry, I was tucked up in my own bed, having gone home for the weekend. I was having a bit of a lie in before my train back to Leicester when my phone buzzed. I rolled over, saw who the email was from and actually gagged at the sight. I couldn’t decide if I wanted to look at my results. I couldn’t really gauge how my exams went, but I knew I’d made mistakes, and overall I wasn’t happy with how they’d gone. I delayed opening my results for about 6 hours. When I finally did, I discovered it was as I’d feared; I hadn’t done as well as I needed to, and could potentially drop my degree down a classification. I panicked. However, once the initial freak out died down, I started thinking rationally. This was not the end of the world. I could do this. I could fix this. I sent a few emails to discuss my options with regards to a potential resit for a module, I arranged a meeting with my tutor. I just had to keep my eye on my final goal; graduating with a degree which I could hand-on-heart say I’d given my all to getting. I then sat down and figured out what marks I’d need to get in this final semester in order to achieve which classifications. Yes, I made a spreadsheet. You shouldn’t expect any less from me! Studying Maths, for me, means my brain works a lot in numbers and figures, so seeing exactly what I needed to get made me a touch calmer. It’s not going to be easy, not by a long shot, but I should be able to stay on track for the degree I was heading for, it’s just about keeping motivated and focused in these last few months. Things might go wrong during your degree, but it’s okay. I’ve learned that it’s about communicating with the right people and being proactive when they do, rather than giving up. On a different, but related topic, we’re almost at the middle of the term, and I have no idea where the time has gone! It feels like I’ve blinked and January and February have flown by. Deadlines are starting to approach which means the entire student population has a stress on. I’ll raise my hand and say I’m not someone who is usually calm anyway, but suddenly over the last few days I’ve been overwhelmed by the sheer weight of my final semester. As a result, I currently have about 6 tabs open, trying to get everything done. My current focus is an assignment on Egyptian, Babylonian and Chinese mathematics. 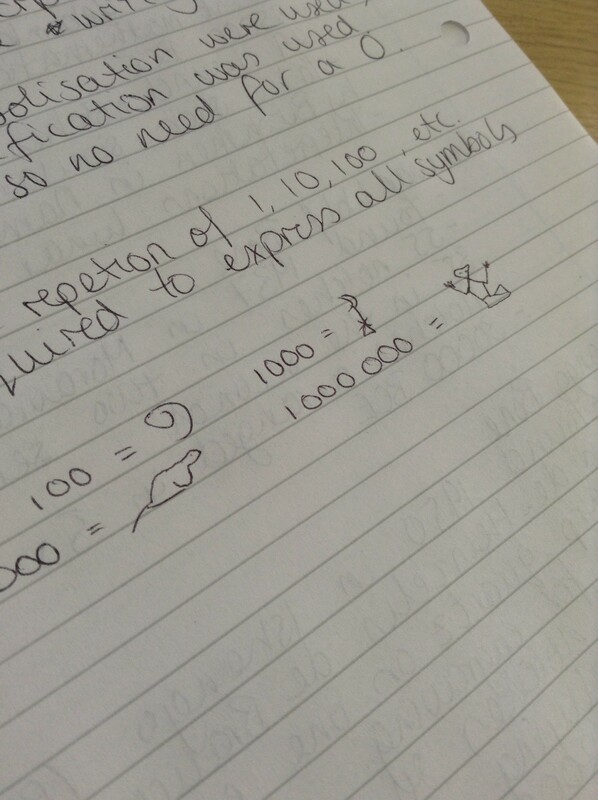 I might be struggling with calculations in sexagesimal (counting to 60 then starting again, rather than our decimal system, where we start again after 10), but at least my hieroglyphic drawings of rats are on point. It’s not all bad though, I’ve got the Varsity build up and copious cups of tea to get me through. Until next time, all the best. Hi everyone! 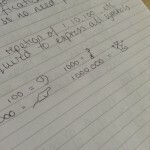 My name is Jess and I'm a third year Mathematics student. My blogs will be about the up and downs of final year, trying to be a grown up, life in Leicester outside of university, and attempting to play rugby for the first time!